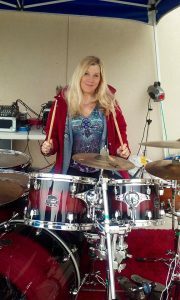 Annette of JMoon Promotions at Drumming for Hope Event – May 2016. We want to congratulate Annette on her new position and wish her the best. Takes lots of guts to run for an office and Annette has fortitude galore!